After the last round of the Last 32, the eight teams that made it to the eighthfinals are finally known. There was a lot of drama in Round 6, but when thedust settled, Caleb Green of Dinamo Banco di Sardegna Sassari emerged as the player with the highest index rating performance among all winning players, earning him weekly MVP honors thanks to his 34. Green led his team to a decisive win over Brose Baskets Bamberg to advance to the next phase, scoring 32 points - including 13 of 17 free throws -, pulling 8 boards and drawing 5 fouls. Following him was ALBA Berlin's Reggie Redding with an index rating of 30 as his team defeated Radnicki Kragujevac at home. Redding scored 17 points and pulled 10 rebounds in a complete performance. 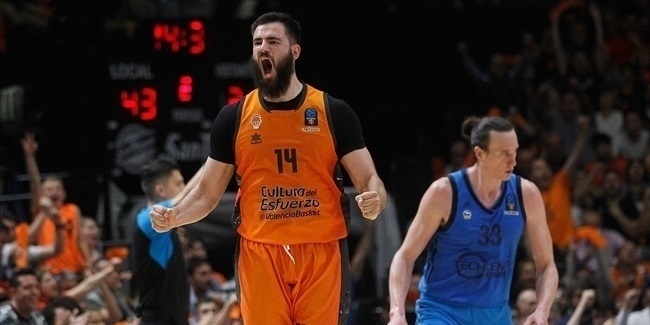 The player with the highest index rating tis week however was Viktor Sanikidze of CAI Zaragoza, who racked up an index rating of 36 thanks to his 25 points, 8 rebounds and 6 fouls drawn, but since his team lost, he was not eligible to earn MVP honors. The top scorer of the sixth round of the Last 32 was also Caleb Green with his 32 points. 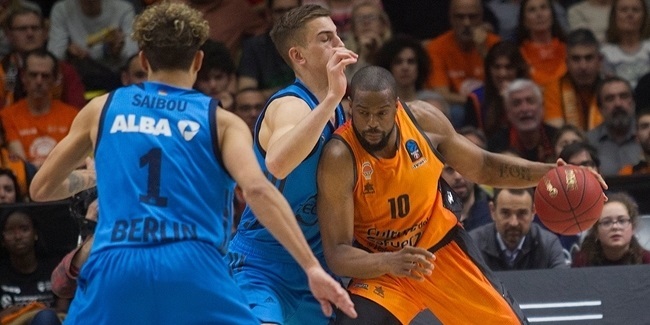 After him, as many as four players with 25 points apiece: Andrew Goudelock of Unics Kazan, Charles Jenkins of Crvena Zvezda Telekom Belgrade, Chris Lofton of Besiktas Integral Forex Istanbul and Sanikidze of Zaragoza. Dino Muric of Union Olimpija Ljubljana led all rebounders this week with his total 14, including 8 defensive and 6 offensive. Two players led the assists ranking this week with 10 decisive passes apiece: Marko Marinovic of Radnicki Kragujevac and Joe Ragland of FoxTown Cantu. 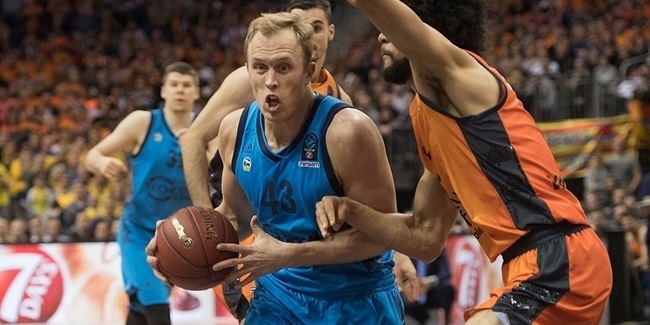 On the defensive end, three players managed to get 5 steals each: Michael Green of Khimki Moscow Region, Abdoulaye Mbaye of BCM Gravelines Dunkerque and Doron Perkins of Besiktas. Last, but definitely not least, Artsiom Parakhouski of Hapoel Migdal Jerusalem rised above all other big men and managed to stop four offensive plays by himself with as many blocks.